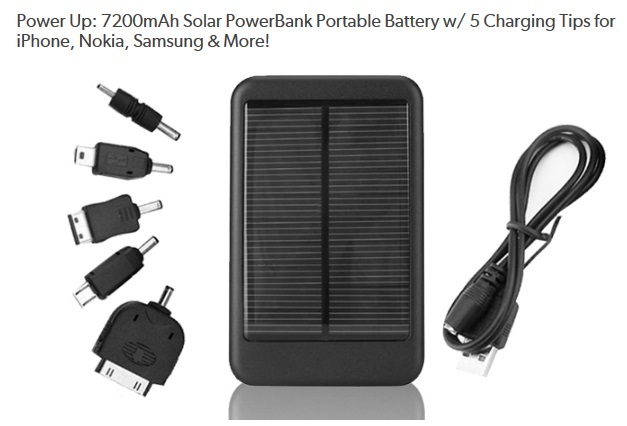 SWAG Saturday: A neat idea – a SOLAR power brick up for grabs! I am a broken record when it comes to two things: One of them is my power brick. I have one and Lisa has my old one ;-)! I always charge it before I go anywhere as being able to get quick reliable power no matter where I am is not just convenient but a must to me. The other thing I am a broken record about is cards. I have and get a bunch of them and hope you enjoyed the spread sheet that Lisa made to keep track of our cards. I have almost met the minimum spend on my latest round of cards and full points have posted for those already. But on to today’s SWAG question and for a chance for you to win, not just any old power brick, but one that you can recharge the old fashioned way or in the sunlight – what a great idea. The one you will get is “white” not black btw but other than that is the same as the image above and clearly brand new. The rules, as always each week are HERE if you wish to read them. The question I have is a simple one this week. What do you think is the BEST perk of the World MasterCard® ? To me, my absolute favorite, as I touched on this morning, is the the Barclaycard Arrival World MasterCard®. Not only is it offering 40,000 bonus points when you spend $1,000 (now $3000) on purchases in the first 90 days (that equates to $400 off your next travel redemption) but then you get Get 10% miles back when you redeem for travel! ← How do you keep track of all your point cards? A reader request. I agree. 40k and 10% is great. I find the sign up bonus to be the best perk. The 40,000 point bonus for sign up. Not sure if this is considered a perk but they have given me the highest credit limit of all my cards. In addition to the sign up bonus, I like the worldperks travel and life style services – handy when traveling. I love the free TripIt Pro membership! I’m all about the bonus points. I’ve never used any card’s concierge services. Also nice to have a card that I can use when a place doesn’t take amex. I have the amex delta reserve but the 40K bonus is really tempting. My question is why does delta keep sending credit card offers for the platinum card even though I already have the reserve and can’t get the bonus? @FBates360 – I have two Reserve cards, biz and personal, and get the same offers but we both know we can not get them unless we cancel and wait 365+ days. Just dumb! the 40k sign up bonus is awesome! The 40K signup bonus is HUGE! I like the 40K signup bonus. One feature I like is no foreign transaction fees! Well, the sign-up bonus is attractive for this card! My favorite benefit related to any world mastercard? The best part is being able to redeem points for ANY travel expenses. Lots of flexibility there! I can’t argue that the sign up bonus of 40k for 1k is awesome. I like the 2x points on all purchases. Plus 10% of points redeposited after redemptions. good insurance coverage on rental cars saves big bux rather than paying the high rate the car company charges. I agree, the 40K signup and the 10% are great. The 10% back is awesome! The 40K sign up bonus is a winner! Amazingly I don’t have ANY Mastercards. 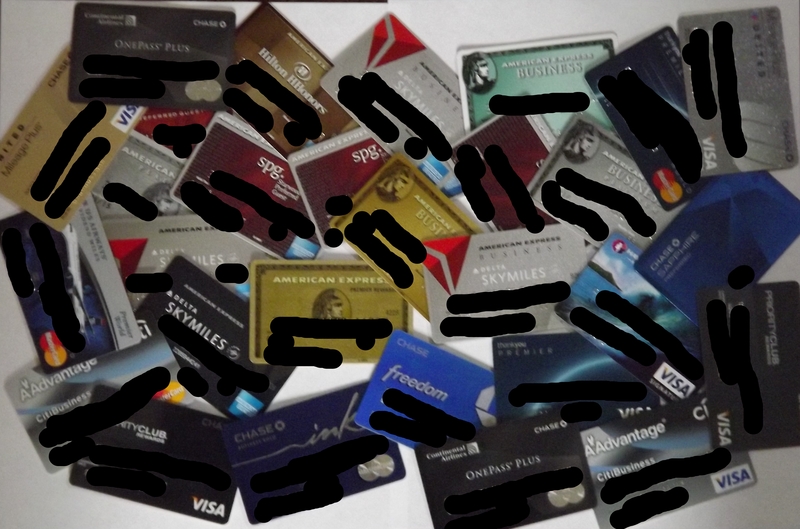 I only have Amex and Visa. I’m interested to see what others say. For Barclay’s I like the 2% earn for most all travel expenses, and I like that I can earn points at Sam’s Club with MC. The World MasterCard benefit I like is the extended warranty. It’s nice to know I’m covered, and don’t necessarily have to buy an extended warranty program. I love the sign up bonus! This one will be included in my next round of applications – coming soon to a wallet near you. 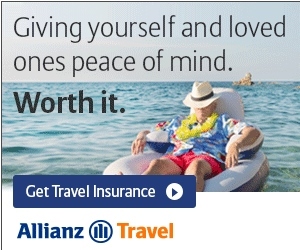 It’s a toss-up between the “Identity Fraud Reimbursement/Resolution” and the “Travel Cancellation Insurance”. Because most of the time I’m using branded cards (some Visa and AMEX) for travel, I’ll go with the ID fraud reimbursement/resolution. I’m all about the points and 40k is good! 40K bonus for signing up is a huge perk! What a great perk ! I think the sign up bonus and the 10% back are the best. The 40k bonus for low spend. The 10% back is the best. Signup bonus. Haven’t gone down this route yet, but need to consider. I’m a fan of the 40,000 bonus points upon sign up. 10% miles back when you redeem for travel! I like the perk of getting 10% back when redeeming got travel! Bonus plus the 10% back… keeps giving the more you use it. I’m not that familiar with it, but I could sure use $400 of travel credit! 40k points signup bonus is hard to beat, plus 10% redemption bonus? Getouttahere! Gotta go with the 40k signup bonus! Best perk is the 10% off travel. I like the 40k point bonus. 40 k bonus is great to get! I like the 12 month extended warranty on purchases. Little known, but has lots of potential value. I like the Group 1 Boarding perk that comes with the Citi Platinum AAdvantage World MasterCard. I love the 40K signup bonus. Don’t have yet but 40k bonus is tempting for next card round! It’s usually the bonus points for me, but I’d prefer AA’s card first. the fact that 10k turns into 440 for travel and that you can get the miles for the airline so that 440 would net me at least 4k and with a good fair to Istanbul or something like 12k miles awesome! The signup bonus is easy to get and really generous. The TripIt Peo subscription. I’d be lost without it given all my travels. The 10% points back is great! The 4k bonus – I just got this card in my latest round. The primary cdw insurance when traveling. Especially when driving outside the usa. That 40K on signup is nice! Definitely the 40K bonus. The 2x miles is a very close 2nd. 40000 sign up bonus for sure! The 40k bonus signup points is great! I don’t know if it counts as a perk so much as the point: saving on travel with points/miles. That’s always my favorite part! The bonus for sure is the best feature. Would love to use the 2X feature more. Definitely the generous 40K sign-up miles! The 40K starting bonus is pretty generous. The sign up bonus would do it for me. MANY benefits, but initially the signup bonus; followed by the redemption. Oh, the signup bonus catches my attention. I don’t have this card, but it certainly looks like a winner for a variety of reasons, but the signup bonus alone makes it a strong contender. I love the signup bonus right front and the 10% BACK! The 40,000 sign up bonus is pretty awesome! The sign up bonus after meeting minimum spend on the arrival card is the best benifit. 40K is the best perk. Huge sign-up bonus is great. Most def the 40,000 points! The 40K sign up is awesome! It’s all about the sign up bonus. 10% back and 40K signup is huge! It’s all about the points and sign up bonus! I love the 2 points per dollar spent that the Arrival card gives. 40k bonus on the Arrival card is awesome. A sign up bonus of essentially $400 is great! Gotta go with the sign-up bonus! The best perk is the 40K sign up bonus!